What can possibly be more depressing than sushi that's been sitting inside a plastic container, languishing in a refrigerated space for hours? 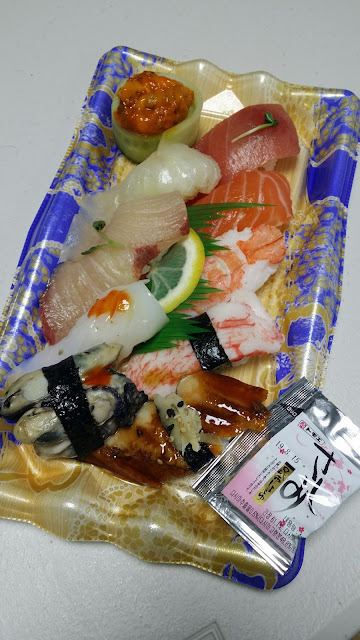 I got the following sushi dish for half price because it was 9 p.m.—an hour before closing time. I guess I just wanted some sushi, but sure enough, the dish tasted as depressing as you might imagine it would. Sushi, like many other dishes, is best eaten right when it's been prepared.